Ars Antiqua Austria was founded in Linz in 1995 with the aim of introducing audiences to the roots of specifically Austrian baroque music played on period-instruments.The core of Ars Antiqua Austria comprises 8 musicians directed by Gunar Letzbor. The ensemble is readily augmented to accommodate a still wider repertoire. The music performed at the imperial court in Vienna at the Baroque shows the strong influence of Italy and later of French forms, while Spanish court ceremonials also shape the character of the works. Elements of Slav and Hungarian folk music mingle with alpine sounds and can be heard in the art music of the period. The Austrian sound also reflects the temperament and character of the Austrians of that period - a unifying element in the melting-pot of many different cultures: the joie de vivre of the South, Slav melancholy, French formality, Spanish pomp and the Alpine character of the German-speaking regions. This fusion of court- with folk music and a strong element of dance music form the typical Austrian sound. "Ars Antiqua Austria explores Vivaldi's sound effects in a very picturesque expressionistic manner"
"Gunar Letzbor and Ars Antiqua Austria have certainly brought a distinctive new take on the concertos here." "The interpretation of Gunar Letzbor is puristic and independently, but original. Formidable!" ""Nice craftmanship, that in the energetic lecture from Ars Antiqua Austria completely suits here."" 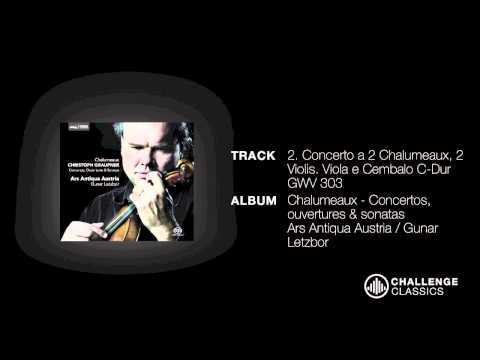 ""His jokes are more subtle than Letzbor's, and the mucisians from Concerto Köln are following Sato flawlessly""
"Album of the week on Radio 4 "
""...magnificent recording with all of its articulatory and expressive glow, its drive and finesse, its charme between posh and brisk...""
['']...Wonderfully clear and detailed,Challenge Classic's surround-sound recording perfectly complements the ensemble's incisive vitality...[''] "
"['']...You don't have to listen to all the sonatas at once, of course, though in truth even on repeated listenings the sheer robust joy and commitment of Ars Antiqua's performances are hard to resist...['']"
"On the one hand they demonstrate the harmonic abundance in a pleasant-dense ensemblesound, on the other hand they give the spirit wings and take liberties in the soloparts of the violins." ""[..]'Ensemble for new baroque music.." "
""Biber is in the very best hands with Gunnar Letzbor and his ensemble. The extraordinary high-quality sonatas are brought to life by the Ars Antiqua Austria congenial. The Ensemble plays the precious music with a joy for sound, sublte, with confidence and musically strong." "["].. Don't be put off by the title: this is wonderful music, and all the words indicate is that the pieces can be used in church or court."" "Profanum are based primarily on the Italian church sonata form and, like other similar string settings of the period, are moderately complex yet beautiful works abundant in rich chromaticism, harmonic diversity, and textural intricacy.I’ve been a fan of Ars Antiqua Austria and its illustrious director, Gunar Letzbor, for many years"
"["].. The music of Heinrich Ignaz Franz von Biber is quite popular among violinits and string ensembles as well as audiences. However, as Gunar Letzbor rightly points out in his liner-notes, the interest is a little one-sided: it is the Rosary (of Mystery) Sonatas in particular which attract performances."" "Gunar Letzbor and his Ars Antiqua Austria are among pre-eminent artists in bringing to life the Austrian and Bohemian music of the 17th century. This disc leaves us in no doubt about their disciplined ensemble playing and their feeling for lively characterisation." "These performance gets right to the heart of the music in all its complexity and really brings it to life (...)"
"Performing with taste and refinement, the players transform each sonata into a kind of wordless mini-drama, revealing many fine interior details. The recording is clean and vibrant, with enough background resonance to give the music a sense of space." "(...) the musical invention is fantastical and wayward, chromatically adventurous in ways that are more oftrn associated with the 20th century than the 17th. Intoxicating stuff." "This is the art of interpretation on its highest level"
"This is an excellent programme which is full of life and variety." "Garupner's overtures and concertos are duskily attractive, while the violin sonatas have Italianate verve"
""Spontanious baroque virtuoso Letzbor makes the court music of Biber sparkle and shine on his violin.""